It’s been ages since I read a funny children’s book. Many of the ones I’ve been reading lately have been quite serious. Nothing wrong with that at all, but it was a joy to be sent this. 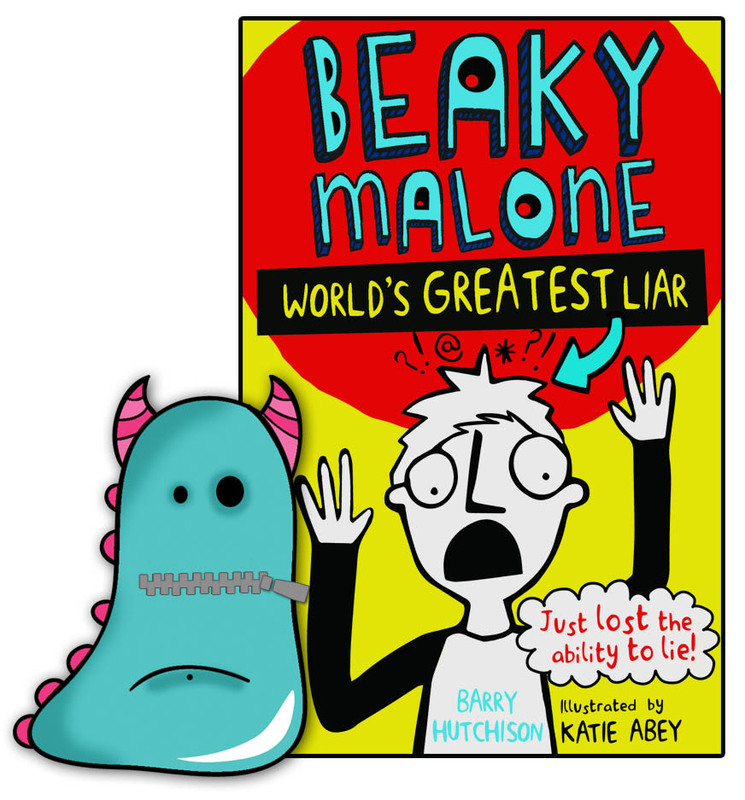 It is Beaky Malone World’s Greatest Liar written by Barry Hutchison, illustrated by Katie Abey and published by Stripes. So, Beaky tells fibs. No, no, let’s be honest here, he tells pokers, great big whopper lies! Constantly! To everyone, and although it’s all fun and frolics for a while, it soon starts to get on everyone’s nerves. Particularly his sister Jodie. So, when they come across a Truth-Telling Machine inside a mysterious old shop, Jodie shoves Beaky in, and his life is changed forever! He loses the ability to lie! Crikey! It seems like the perfect solution at first, but soon even Jodie begins to regret her action as Beaky’s too-honest-for-his-own-good-mouth gets going. Oh, I did enjoy this book, what a giggle it was. Just plain and simple bags of fun! From start to finish. 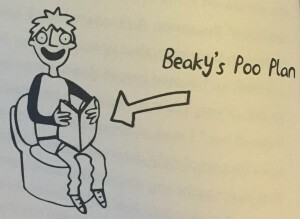 There are lots of great characters in Beaky’s family, brilliantly rounded and interesting. All so different, and all affected by Beaky’s new found honesty in different ways. Every character was endearing and enjoyable to read about. No baddies really here, which is refreshing. 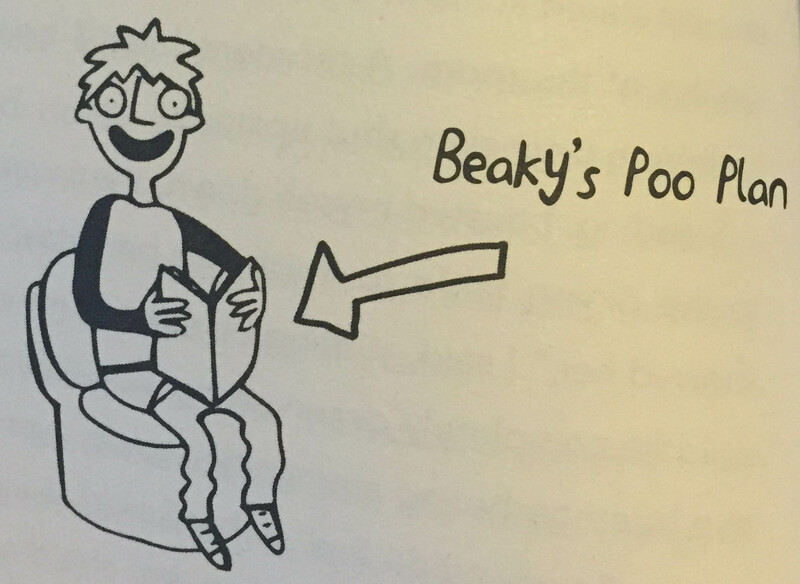 The whole book is funny, but when Beaky is hit by the truth telling, the immediate humour following is absolutely brilliant with his very first truth being “I did a little wee.” I know it’s immature, but I laughed, out loud, I really did. Perfectly timed humour that just really worked, supported by those wonderful illustrations by Katie Abey. I also loved Beaky’s reaction to Sophie, who just stares, his little asides about her are brilliant, again made me laugh out loud. I think the joy of the writing in this book is that anyone and everyone, whatever their sense of humour, whatever their level, adult or child, will find something hilarious! It covers toilet humour, to sarcasm to just plain silly. Ideal for family reading! I know a huge number of children who I would and have recommended this book to at the library, due to its really broad appeal. Katie’s illustrations are perfectly spaced throughout the story, adding to the humour and interest, giving something visual for children to engage with, and reinforcing the jokes. The book would always have been successful, but these illustrations make it even more so! Small, perfectly formed and jam packed full of expression and humour. Some of the faces on the book characters will make you giggle before you’ve even read the relating joke. This is why the #PicturesMeanBusiness campaign is going strong on Twitter. To recognise the importance of illustration in all books, but particularly ones like this. Great stuff! Beaky Malone: World’s Greatest Liar is the result of a perfect partnering between writer and illustrator. Stuffed to the truth-telling gills with laughter, fun and action. Don’t be fooled though, there is heart in this book, a really touching moment, not over done, but just, well, lovely. Beaky Malone is available now from all good bookshops and libraries, and excitingly book two is due out in January 2017, so watch this space for that! Barry Hutchison has a corner of the internet where you can find out all about him, and it’s all true!! Thank you for reading this 100% truthful Book Monster review.